Have you walked into a carpet store in Indianapolis lately? The choices are almost overwhelming. 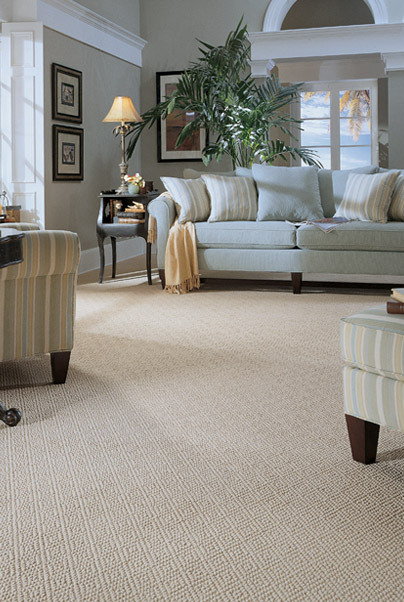 Colors, yarn types, manufacturers... there are a lot of options to consider in carpet. So how do you know which carpet type is best for you? Let the family-friendly staff from Kermans carpet store in Indianapolis help you learn more about the best carpet types. Loop carpets are the most popular choice for high traffic areas. These carpets are made to withstand a lot of wear and tear and are easy to keep clean. Berber style carpets are a popular type of loop carpet. Cut pile carpets are the most common type of carpet. Sometimes called tufted carpets because the yarns are cut and allowed to tuft, this carpet is comfortable and versatile. Depending on the type and density of the yarn, this can stand up to a variety of uses. It is an excellent choice for most bedrooms. Textured carpets. When the yarns from a cut pile carpet are twisted, they take on a new look and also a new ability to better handle high traffic. Textured carpets can also incorporate a variety of yarn thickness and textures to create more contemporary looks for your floor. With all of these wonderful choices, it's no surprise that carpet remains the most popular floor choice for Indianapolis homeowners. When you're looking for carpet in Indianapolis, look no further than Kermans. Our showroom on the northside of Indianapolis has a wide variety of options so you can see samples, take them home and make sure you have the perfect fit. Our family is looking forward to serving your family. Kermans Flooring offers a wide variety of wood flooring, tile, area rugs & carpet for every budget. Kermans is a proud family-run business that has served Indianapolis and surrounding areas since 1921. We invite you to our showroom! Kermans Flooring is a flooring store in Indianapolis with a grand showroom of wood flooring, carpet, tile, and area rugs.